Several Production Team members from iFilmGroup met on the set of "Blue Love" to create some promotional material. The photo shoot/film shoot included a number of photo still material along with a segment that was filmed for the group’s promotional video and for workshop material. 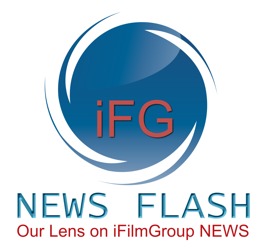 The Co-founders of iFilmGroup; Don Hickey and Matthew Marshall were pleased with the day. The material will be used on the website as well as in other areas for promotion and showing the mission and vision of the group.